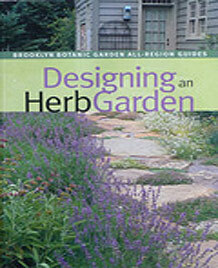 Designing an Herb Garden is one of the Brooklyn Botanic Garden All-Region Guides. Endlessly adaptable and easy to grow, herbs are the perfect plants for designing a garden that’s ornamental, practical, and intoxicatingly fragrant. this inspiring guide walks you through the project from plan to planting and harvest. Written by expert herb gardeners, this beautifully illustrated volume has everything you need to design a dazzling herb garden—simple garden plans, plant recommendations for each design, and indispensable growing tips. 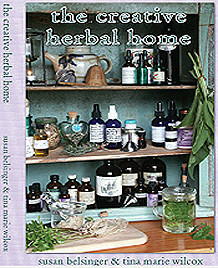 Along with gardens designed by herbal friends Holly Shimizu, Madalene Hill and Gwen Barclay, and Donna Gerbosi-DiFulvio, Susan Belsinger and Tina Marie Wilcox co-authored and created the enchanting ‘Herb Garden for Tea Time’ and the practical and informative chapter with everything you need to know for growing ‘A Gray-and-Green Garden of Mediterranean Herbs’. 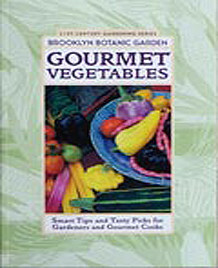 Beth Hanson, Editor, Brooklyn Botanic Garden, 2004.